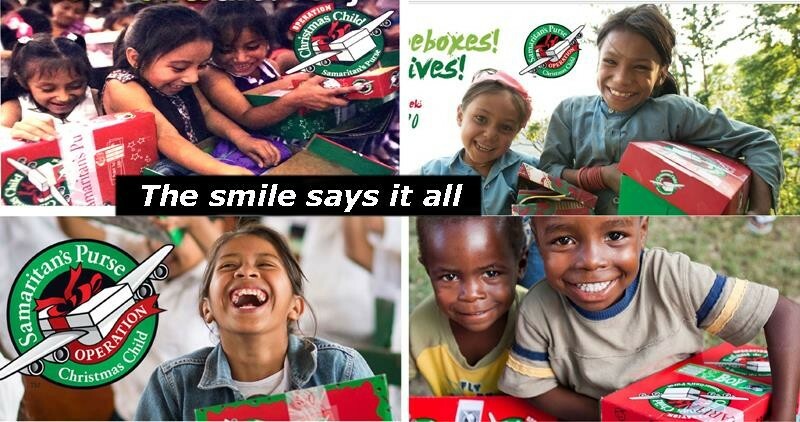 The boxes are then distributed to under privileged children througout the world. 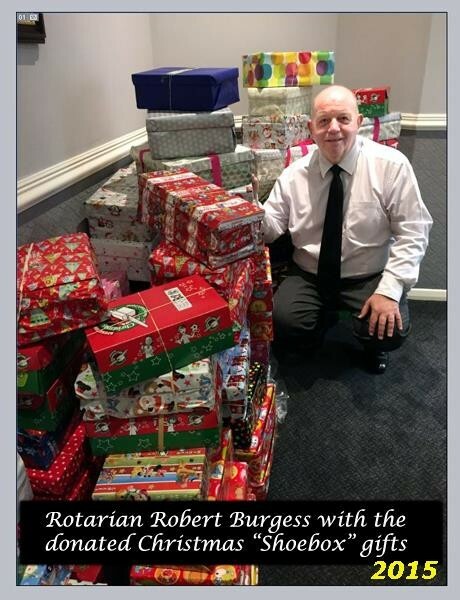 Robert has stated that apart from the usual generosity of the members of the Rotary Club of Normanton and other generous individuals in the area, some of whom had supplied and decorated their own shoeboxes, he has also had tremendous support from local churches and businesses, in particular, the local engineering company S E W – Eurodrive whose members embarked on a number of fundraising activities, raising £258 towards the costs, incurred by “Samaritan’s Purse” in transporting the gifts to the children involved. 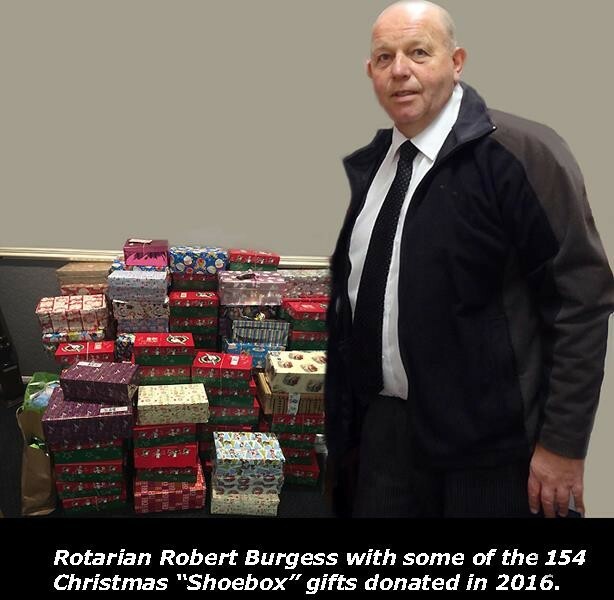 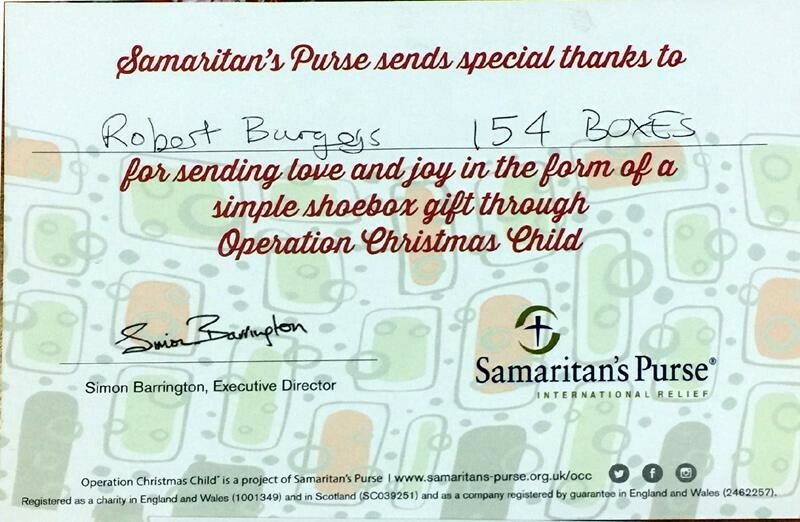 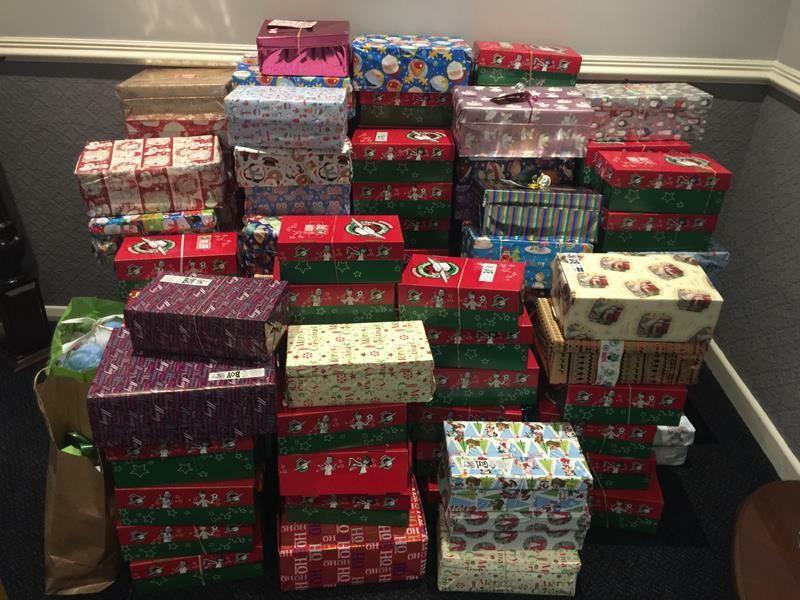 This year, the volunteer Rotarians who collect the gifts on behalf of the “Samaritan’s Purse” charity, collected one hundred and fifty-four decorated shoeboxes and a further three large bags full of Christmas gifts, from Robert’s premises at 18 Market Place Normanton, along with £335 in cash which has been donated to assist in meeting the costs of transporting the gifts, ensuring that thousands of children who would otherwise have received nothing, will receive a very welcome Christmas gift.